Now as a full time mother, I touch dirty butts, poop and pee on a daily basis and I still want to reach for the hand sanitizer. However, along the way, I learned about some harmful ingredients in mainstream hand sanitizers: triclosan along with creating "super bugs" and the drying effects of alcohol on the hands. However, there has still been times when I am at the grocery store with the kids, out on the playground or out and about and my children or I touch something that I really want to wash but can't because there is no soap or water nearby....that is when I reach for a hand sanitizer that I trust: Mother's Therapy Organics! Mother’s Therapy Organics pledges to use safe, natural and organic ingredients in all of their children’s cleansing products; their dedication to the health and well-being of children is paramount. as the active ingredient in their Kids Hand Sanitizer. Contrary to popular belief, an alcohol-based hand sanitizer can leave skin softer than before use! Mother’s Therapy Organics uses the purest organic and natural ingredients. As the natural alcohol evaporates, it leaves behind their skin-softening aloe vera-based lotion which becomes infused into the skin so no extra rubbing is required. The end result? A non-greasy hand sanitizer that can be used as often as needed without the worry of damage to sensitive skin. One of their unique products is the Germ-fight'n Hand Lotion. A small dab of Mother’s Therapy Organics™ Germ-fight’n Hand Lotion prior-to and after a diaper change keeps baby — and yourself — healthy and clean. Natural citrus essential oils and extracts power through germs naturally while soothing aloe vera encourages multiple daily use. The alcohol-free clean smell and non-greasy formula is water-based and not thick like some lotions that stick to the top of skin. 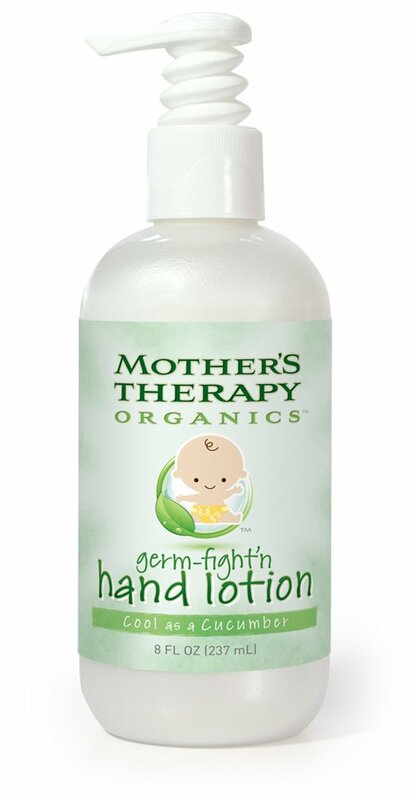 So if you can't live without hand sanitizer, but want a safe, effective and moisturizing hand sanitizer for you and your children, I recommend Mother's Therapy Organics! Buy It: You can purchase all Mother's Therapy Organics products from Amazon.com. 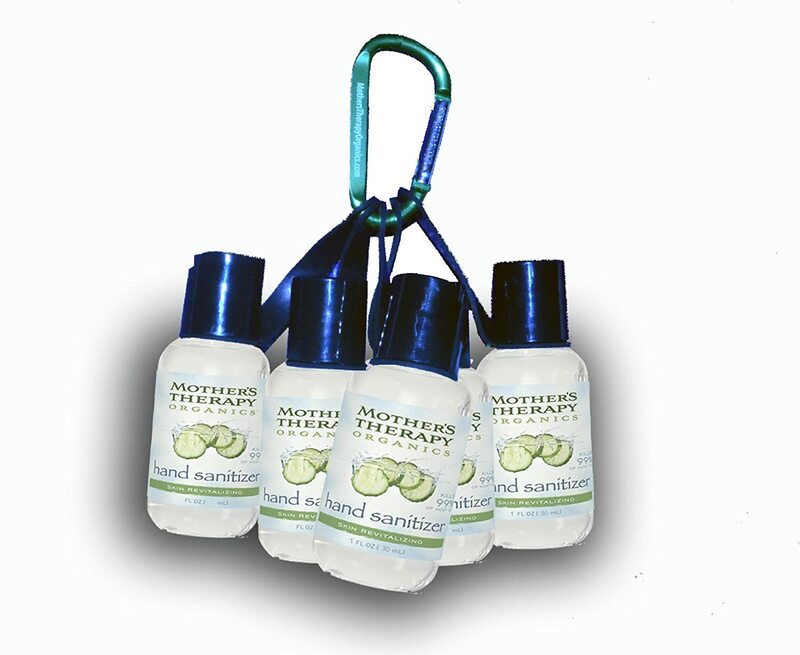 Win It: Mother's Therapy Organics is generously offering (1) Family pack of hand sanitizers to a lucky winner!